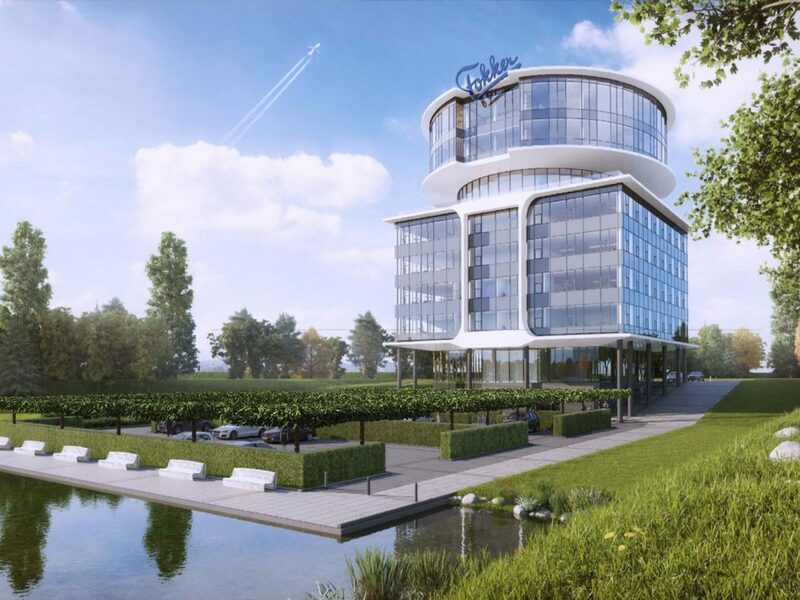 Commissioned by Fokker Technologies, AGS ARCHITECTS created the design for the new headquarters in Papendrecht. The headquarters consists of a layered building volume of nine floors. The building is carefully adjusted to fit into the landscape and positioned at its own footprint with parking facilities. The lower floors contain a service centre, entrance, reception and meeting rooms and four floors with offices. The restaurant with roof terrace and wide view at the surroundings is located at the intermediate floor, while the characteristic upper floors contain the Sale Centre and administrative centre.